These super cute platform shoes have a 3 1/2 inch tall platform. 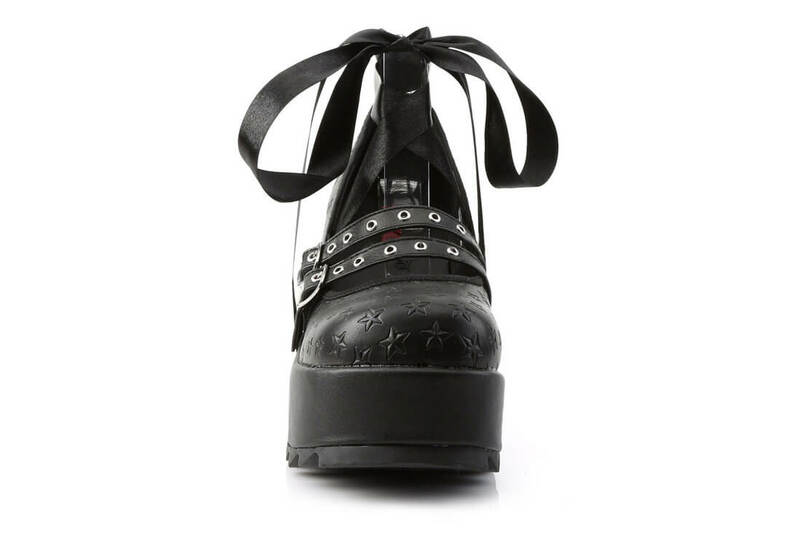 The Scene Mary Janes have embossed stars on the upper, double buckle straps with grommets and a wrap around lace ribbon. are the soles plastic or rubber? some demonia soles are plastic which is too slippery to even wear out to a store\r\n\r\nthank you! The bottom part of the platform is rubber. Answered by Blue on Friday 24 February, 2017.